This pioneer log cabin rental cottage has a fully stocked open concept kitchen, dining area, living room with 60 inch plasma TV a massive stone, gas fireplace and two pull out sectional couches for all of your family and friend. This cabin also has 2 bathrooms, and both bedrooms come with with queen beds. Snuggle up and watch some tv before bed. The exquisite stone gas fireplace set against a log interior and vaulted ceilings is the focal point here. Snuggle up with some hot coco or a glass of wine and unwind from your day of fun at the cottage. The outdoor speakers are hooked up to the satellite so you can choose from any genre you feel like.. Sit and relax in the sun sun or shade, enjoy the Georgian bay view, listen to music or listen to the soothing call of the loons. Slide off the deck right into the hot tub. It doesn't get any better. Grill some burgers on the BBQ and enjoy! We provide a propane deck heater so you can snuggle up and enjoy the stunning evening view as well. After your day of fun slide off the deck in to the hot tub and re-make the all the memories over a glass of wine or a soda. This hot tub is open year round. Gather your friends and family its time to turn up the music on the outdoor speakers and roast marshmallows over the outdoor fire pit. 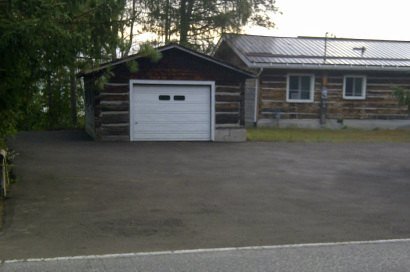 Have jet ski's and want them ready to go all week long...Here is the most useful dock at a rental cottage in Ontario. Holds up to a dozen boats up to 30' in length. 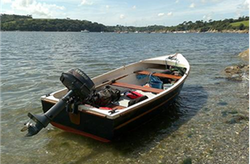 A 14ft aluminum fishing boat with a 9.9 outboard and all amenities to be legal and safe on the water is included with your rental. 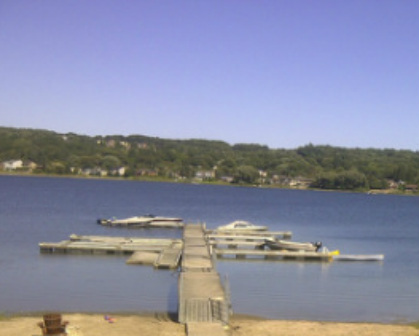 Go fishing for pickeral, bass, pike and more or take a trip to the town dock and go for a burger and Ice cream at the world famous Dock Luch or walk up the street a bit and stop in at Captain Kens and get some of Ontario's best fish - always in season. This is the best way to enjoy the serenity of Georgian Bay. 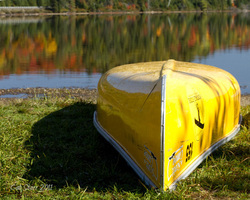 There is a very good chance you will hear the call of the loon or spot a beaver or a swan on your paddling path.